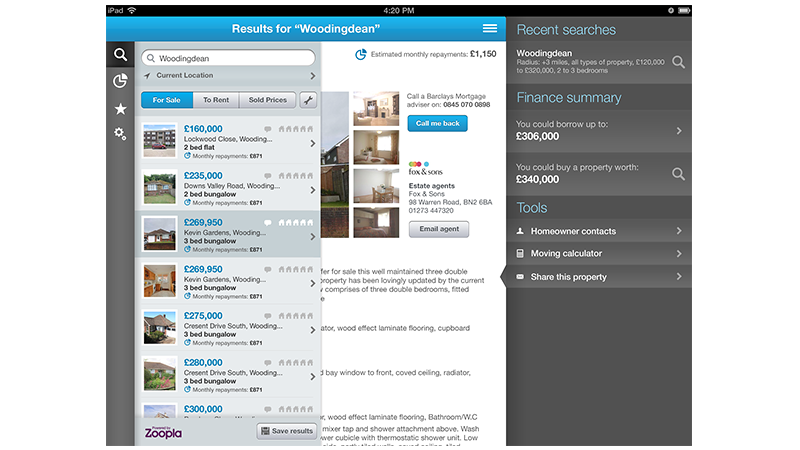 Having launched thier iPhone version of the property search app, Barclays wanted to extend this to iPad. 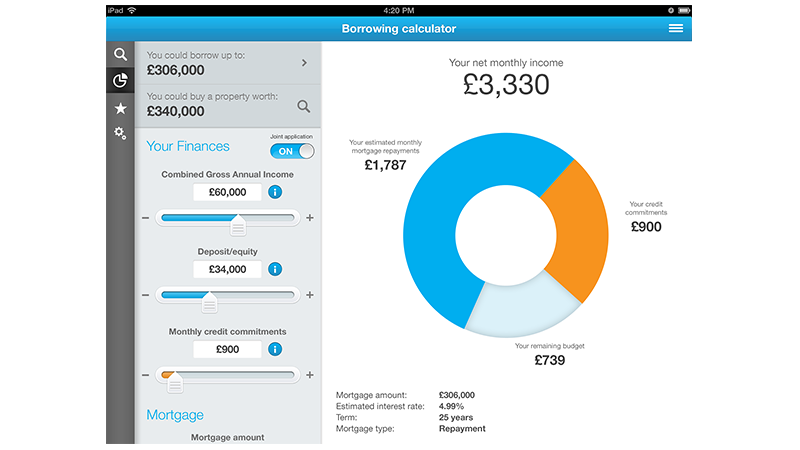 I explored what might be possible for the larger iPad format. 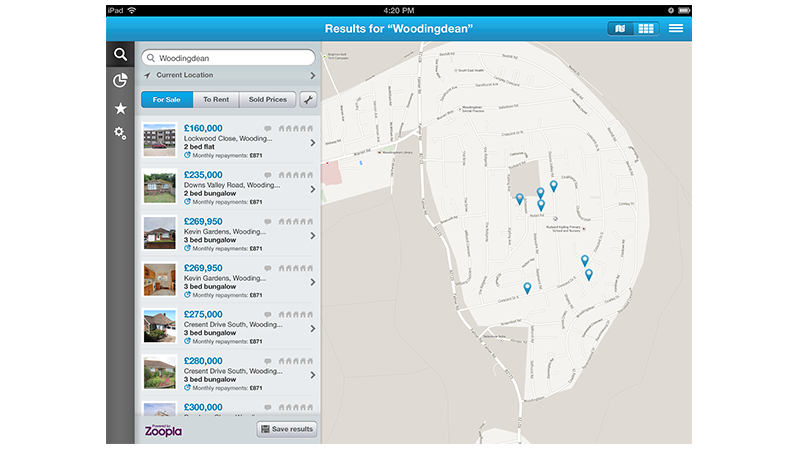 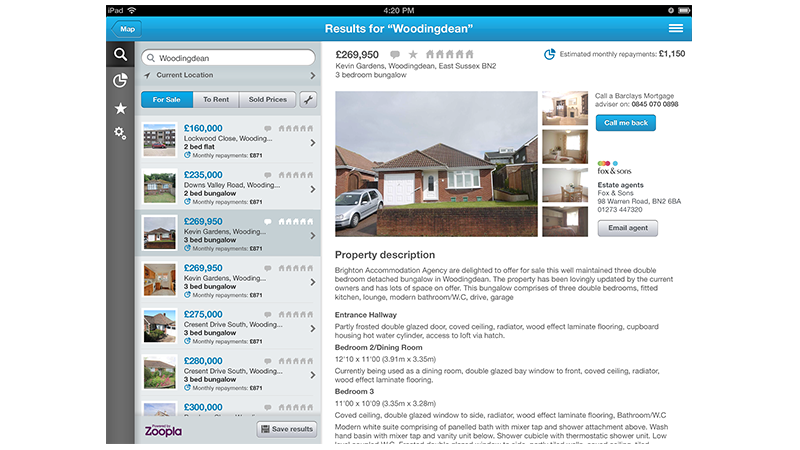 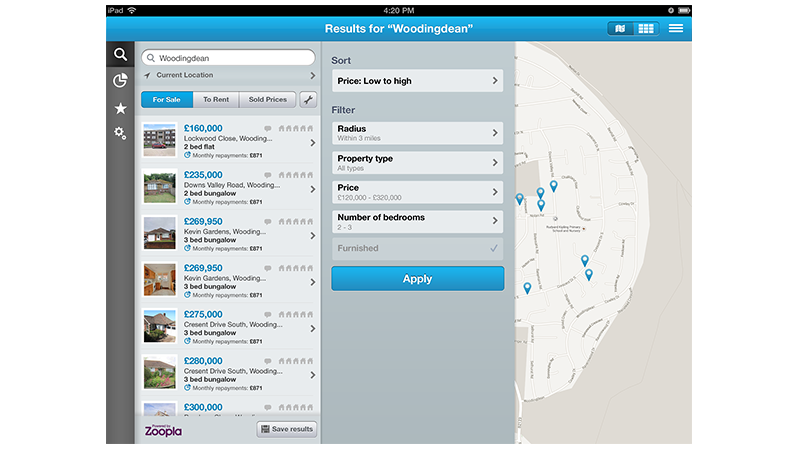 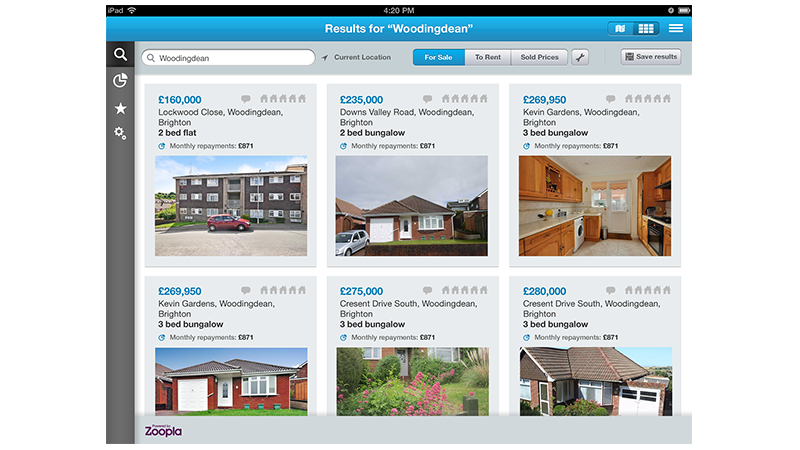 The app allows users to search property in partnership with Zoopla and also get a mortgage calculation at the same time.